"Song" (translated as a state of looseness, relaxation, devoid of tension etc.) is one of the most important and fundamental essentials of Taijiquan, and is the ongoing goal of every Taijiquan player. This is because "song" enables the body to sink; sinking facilitates softness and pliancy; softness and pliancy leads to lightness and agility; lightness and agility results in extreme sensitivity and the neutralising skill that enables entry to the higher levels of Taijiquan. Within the dynamism of movements, the body must be loose and soft. No part of the body should have a trace of any unnecessary musculoskeletal as well as mental or energetic tension. This is an extremely difficult state to attain. 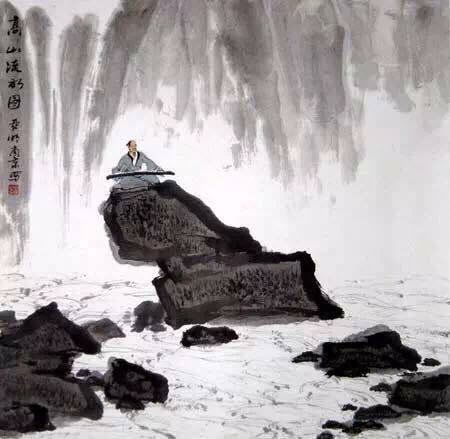 Even with guidance from a good teacher, the state of "song" can be achieved gradually only after a long period of self discipline and correction, of which there is no end point. It involves a multi-layered understanding of essential principles. It can be said that almost all of the essentials of Taijiquan are directly or indirectly associated with "song". Any action that does not adhere to principle will affect to some extent the quality of "song". For instance, if the frame is not balanced and stable, the muscles and joints contract in order to restore balance during movements, using unnecessary strength as well as creating musculoskeletal tension. The mind become anxious and the attempts become frustrating, affecting mental calmness. Therefore, achieving balance and correct structure is one of the methods for achieving "song". There are two main methods of transmitting and training Taijiquan: one is the "trunk" method and the other is the "leaves & branches" method. The Yang family were the first known Taijiquan masters to make a living by teaching Taijiquan. They used the "trunk" method for some students and the "leaves & branches" method for others. The "trunk" method requires great effort and commitment in order to have an effect, and has little if any fun or enjoyment in the learning process. Only a person who possesses natural talent, tenacity and a deep commitment to Taijiquan is willing to accept this kind of training. The "trunk" method was used by past martial artists who needed to hone their skill in a limited time to defend home and country. They did not have the luxury of time and indulgence. Today the common method is the "leaves & branches" method. This method does not require very hard practice before yielding the first results. 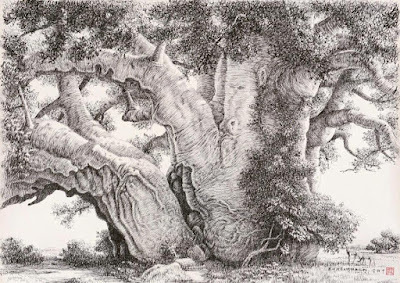 The sense of success and accomplishment is reinforced by the many branches and beautiful foliage - unlike the trunk where there's only the thick body and bark. However, all is not lost in the "leaves and branches" method. Sometimes a discerning person recognises that establishing the trunk is a prerequisite for the branches and leaves to survive and to continue to be beautiful and robust. This is considered a roundabout and longer route. Sometimes the significance never becomes apparent and the trunk never reaches its full potential or is rendered useless and discarded.